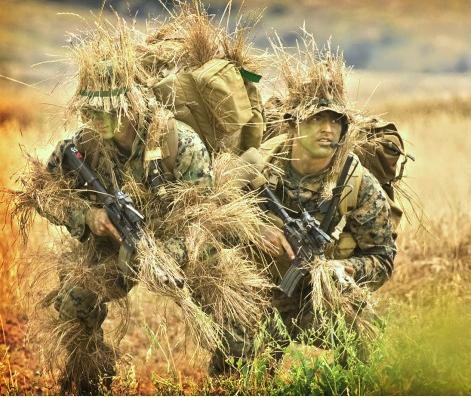 Snipers emerge from the brush at Camp Penldeton during a operational demonstration. 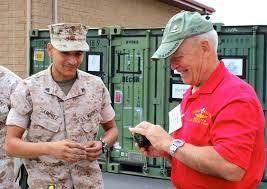 Retired Lt. Gen. Bernard Trainor, right, talks to a Marine with 1st Marine Reconnaissance Battalion. Retired Marine Bernard "Mick" Trainor of Potomac Falls, VA, right, shares war stories from his time in recon at Camp Pendleton during Recon 50, the 50th commemorative reunion of Marine Corps reconnaissance forces and supporting helicopter crews who served in Vietnam during the period from 1965 through 1971. 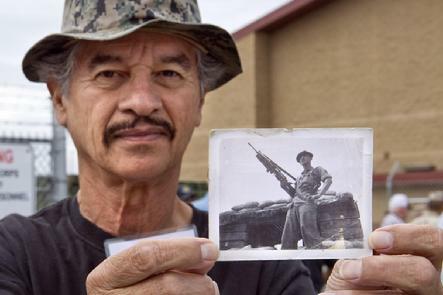 Conrad Moreno of Wildomar holds a photo of himself as a recon Marine serving in Vietnam in May 1968 at Recon 50 on Thursday at Camp Pendleton. 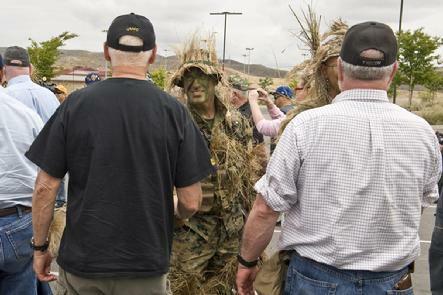 Marine recon snipers emerge from the brush and shake the hands of retired marines at Camp Pendleton who were participating in Recon 50, the 50th commemorative reunion of Marine Corps reconnaissance forces and supporting helicopter crews who served in Vietnam during the period from 1965 through 1971, on Thursday. 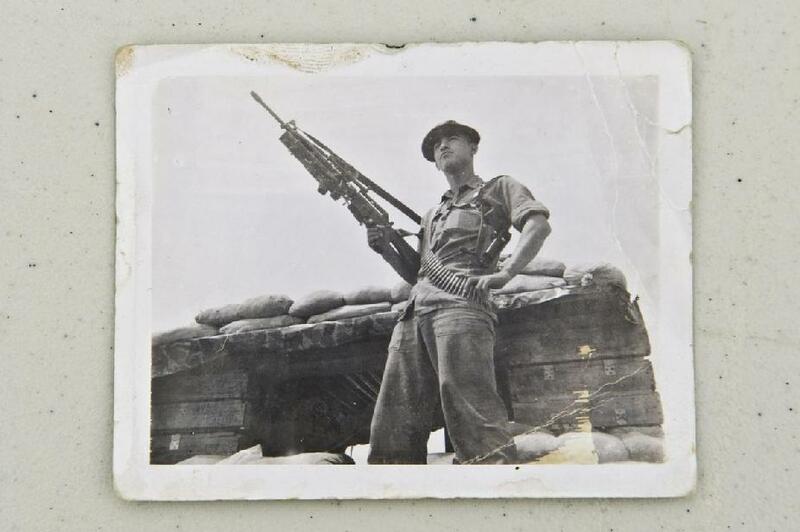 This photo shows Conrad Moreno of Wildomar with his rifle while working as a recon Marine in May of 1968 - somewhere southeast of Khe Sanh, Vietnam. 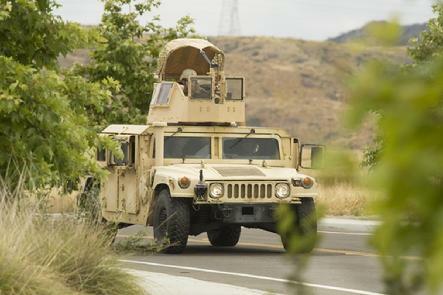 Camp Pendleton, Conrad Moreno was never a chatty guy. In the 1960s his chill attitude made him cool. But for nearly 50 years after serving as a Force Recon Marine in Vietnam, that chill turned to stoic silence masking the pain of the war. Only in the past three years has he begun to embrace what happened there. But on Thursday, April 23th, 2015 Moreno, 69, a Purple Heart veteran from Wildomar, became a different man. He was outgoing. Initiating conversations with people he didn’t know. Swapping war stories. 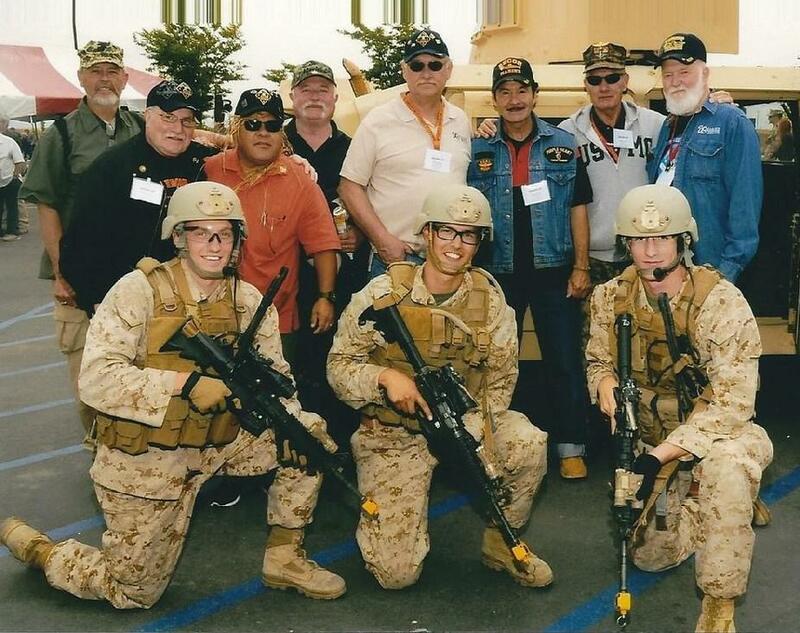 Moreno, who served as a Force Recon sergeant in 1968, was among hundreds participating in Recon 50 – the 50th commemorative reunion of Marine Corps reconnaissance forces and supporting helicopter crews serving in Vietnam from 1965 through 1971. Recon Marine snipers – now in the 1st Reconnaissance Battalion – demonstrated a live raid. A memorial concluded the event with a reading of the names of those killed in Vietnam. 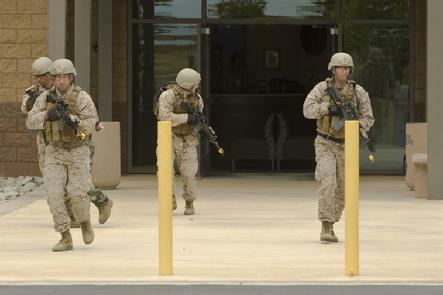 Reconnaissance Marines were known to be swift, silent and deadly. About 6,000 served in Vietnam. CH-46 helicopters, fondly known as “Battle Phrogs,” covered by Cobra gunships dropped the Marines into enemy territory, where they stalked through jungles and secured intelligence for infantry commanders. They operated in seven- and eight-man teams and could call in artillery fire and airstrikes. 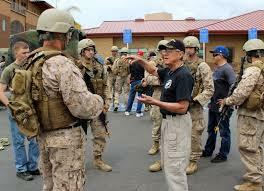 Retired Lt. Gen. Bernard “Mick” Trainor commanded the 1st Marine Reconnaissance Battalion from 1970 to 1971. He never lost a Marine. 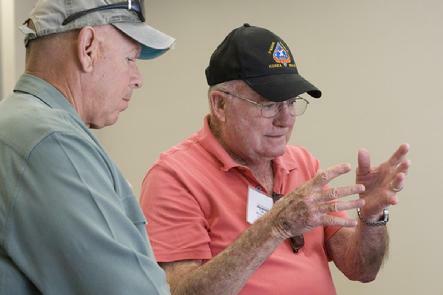 “The safest guys in the world were the men in the recon teams,” said Trainor, 87. Teams were dropped off and identified rally points along their planned routes. Most teams would scout a 5-square-mile area for five days looking for signs of the enemy – shell casings, pieces of clothing or footprints. They would use radios to communicate. If everything went as planned, they would signal Phrog pilots with mirrors when they reached their locations. If the helicopters couldn’t land, crew chiefs would drop a rope to clip on a harness and the Marines would be hoisted up. 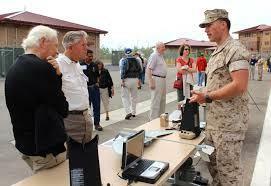 But John Baker, 67, who was a Force Recon captain, remembers missions that weren’t that smooth. The Anaheim Hills man was 19 when he led a platoon of Marines through the jungles west of DaNang in March 1970. It was about 4:30 a.m. and he said he woke up with a creepy feeling. He rousted his Marines and they packed out in 10 minutes. Baker hustled his Marines into the copter while the two pilots held steady. Aboard, he checked his men. There was one injury – a Marine had lost his pinky. Trainor remembers the evacuations. It was always mission first, emotions second. 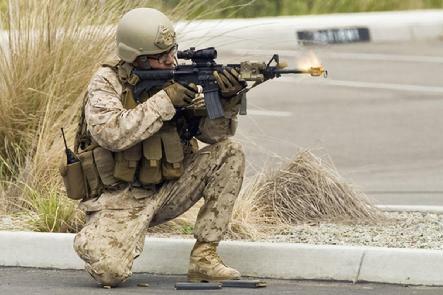 A recon Marine lays down blank cover fire during a demonstration at Camp Pendleton for Recon 50, the 50th commemorative reunion of Marine Corps reconnaissance forces and supporting helicopter crews who served in Vietnam during the period from 1965 through 1971, on Thursday. Lt. Colonel George D. Hasseltine speaks to and takes questions from retired marines at Camp Pendleton during Recon 50, the 50th commemorative reunion of Marine Corps reconnaissance forces and supporting helicopter crews who served in Vietnam during the period from 1965 through 1971, on Thursday. 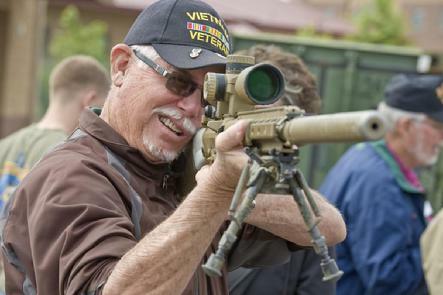 Retired Marine Donald Perry Wyatt of Redmond, Oregon, looks the scope of a 7.62 mm sniper rifle, not too dissimilar from the weapon he carried as a recon Marine in Vietnam, at Camp Pendleton during Recon 50, the 50th commemorative reunion of Marine Corps reconnaissance forces and supporting helicopter crews who served in Vietnam during the period from 1965 through 1971, on Thursday. Retired recon Marine Moe Armstrong of West Haven, Conn., snaps a photo of his wife, Heidi, with a modern recon sniper at Camp Pendleton. Precision weapons technician Jose Herrera, left, walks retired recon Marine Jerry Groseclos of Wasco, CA through the basics of the M32A140mm Multi-Shot Grenade Launcher at Camp Pendleton during Recon 50. 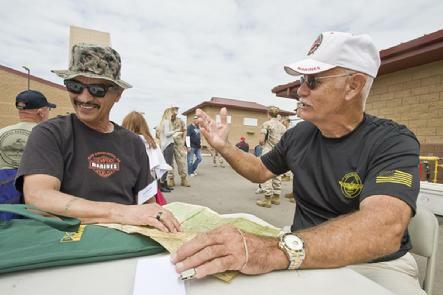 Retired Marine Conrad Moreno of Wildomar, left, and John Baker of Anaheim Hills share war stories while pouring over an old map of Vietnam at Camp Pendleton during Recon 50. Marine recon parachute rigger Brandon Harbison, left, walks retired recon Marines Will Tootsie of Phoenix AZ, center, and Peter Cetani of Yorktown, NY through the group's modern-day jump rigging and load-out during at Camp Pendleton. 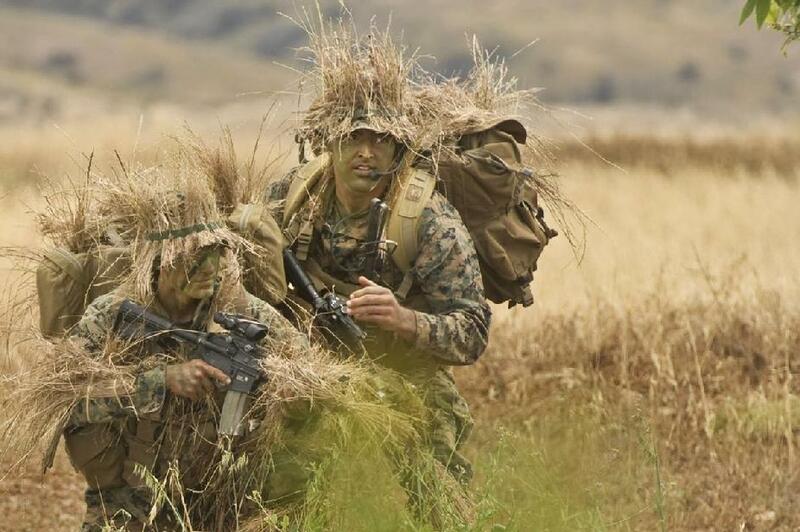 Recon Marines participate in a breach and target extraction demonstration during at Camp Pendleton during Recon 50. Marine recon parachute rigger Brandon Harbison, center, walks retired recon Marines through the group's modern-day jump rigging and load-out during at Camp Pendleton as part of Recon 50 festivities. 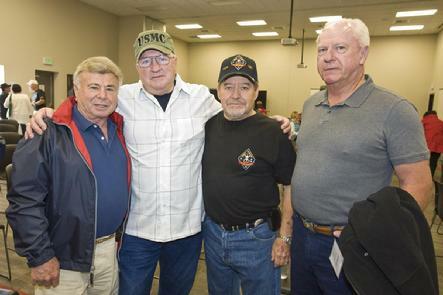 "We haven't seen each other in at least 40-years," exclaimed Peter Cetani of Yorktown, NY, left, when he brought members of his 1st Recon, delta company group: Daniel Muldihill, Stan Chronister and Mike Sheridan together for a group photo at Camp Pendleton during Recon 50, the 50th commemorative reunion of Marine Corps reconnaissance forces and supporting helicopter crews who served in Vietnam during the period from 1965 through 1971. "A Brotherhood Forged In Combat"
CAMP PENDLETON, Calif. — Ken Benckwitz was spit on at John F. Kennedy International Airport. People threw feces at Dan Mulvihill at LAX. 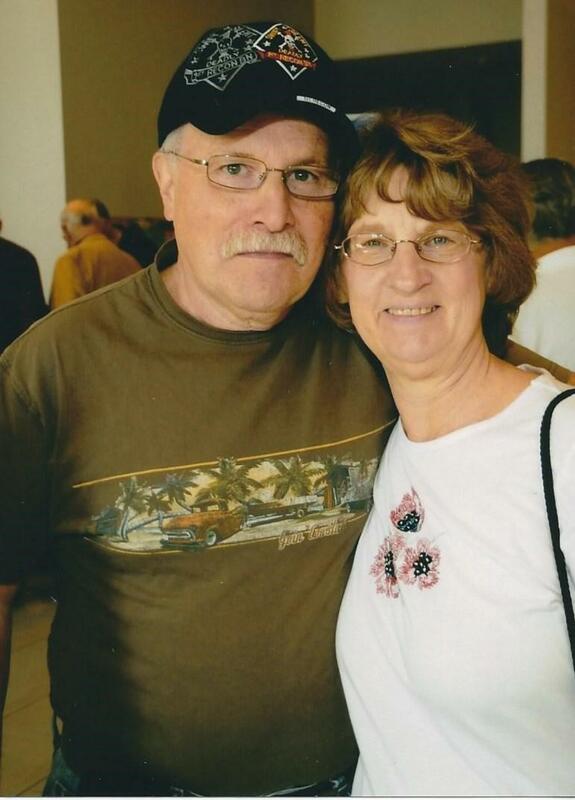 After his return, John Baker was told by the first girl he dated not to mention to her friends or family that he had been a Marine in Vietnam. 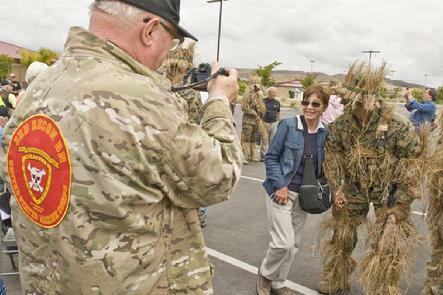 But this week, when about 175 fellow reconnaissance Marines from the Vietnam era gathered in San Diego County, they were welcomed and embraced. Cpl. 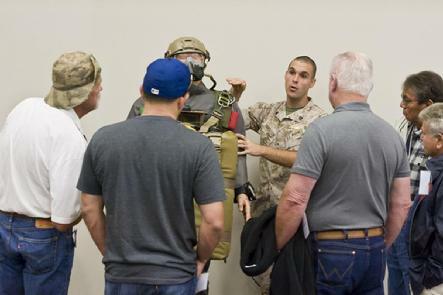 Brandon Tan was one of several current recon Marines who participated in a raid demonstration Thursday for the veterans. 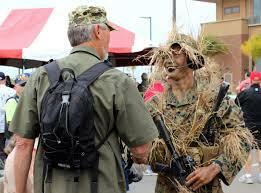 Afterward, wearing camouflage face paint and foliage on his uniform, he shook the hand of veteran after veteran. “Thank you. You’re the reason we’re here,” he said. 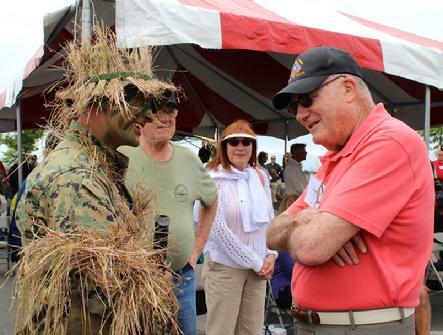 The reunion was designed as a way for all Marines who served in recon units in 1965-71 to commemorate 50 years since the U.S. entered the Vietnam War. 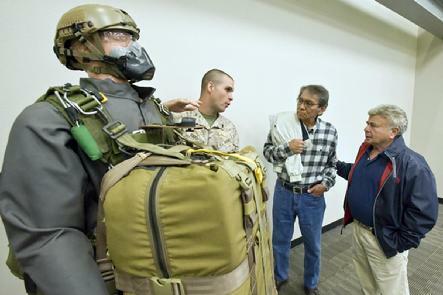 Active-duty Marines showed off their equipment and demonstrated a helicopter jump and a raid. Afterward, they honored the memory of their fallen recon brothers at a memorial service. It’s important to honor the past and allow Marines to connect with their unit’s history, while also recognizing that one day, they will be the ones holding reunions, said Lt. Col. George Hasseltine, commander of 1st Reconnaissance Battalion. Baker, who lives in Anaheim Hills and helped organize the event, said participants also included some of the pilots who helped support recon in Vietnam. Even today, he said, he gets a “warm fuzzy feeling” when he sees or hears a helicopter. The wop-wop-wop of the rotors is “the best music we have ever heard,” said Baker, who served in Vietnam in 1969-70. 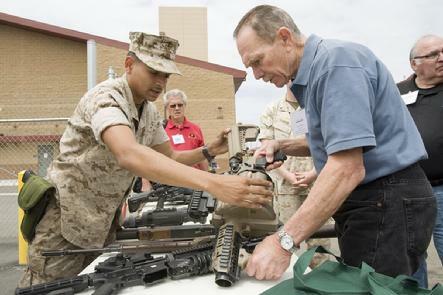 And though he wasn’t initially sure the veterans would get a warm reception, he said that after seeing the current Marines, he knows the Corps is in good hands. Dan Pender, of San Diego, flew Cobra helicopters in Vietnam from August 1970-July 1971, frequently in support of recon missions. Pender said going from the draft to an all-volunteer force has dramatically improved the services. 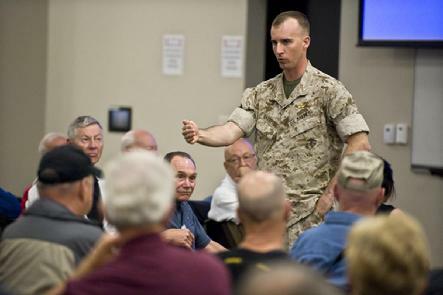 “Marines today are motivated, a lot smarter and more capable,” he said. Benckwitz, of Chino Valley, Ariz., served about 10 months in Vietnam in 1969 before he was medically evacuated. 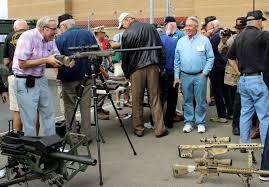 He said he came to the reunion to see old friends but also enjoyed seeing the current Marines and learning about their equipment. “Recon’s treating us like royalty,” he said. John Burtoft, of The Villages, Fla., was a corpsman with 1st Reconnaissance Battalion and went to Vietnam twice: once on the USS Pyro for 18 months in 1964-65, and again with recon in 1968-69. While all corpsmen had rifles for self-defense, recon corpsmen are full combatants, he said. “You can’t send five people into the jungle and have one not fight,” he said. The worst battle, he said, began with the team being chased all day, then calling a helicopter when they thought they had lost the enemy. They were waiting for the chopper when three North Vietnamese fighters approached. Burtoft said he killed them, then others came rushing up the hill, kicking off a daylong battle. It was only when the report on the battle was declassified about 10 years ago that he realized it had been his 25th birthday. 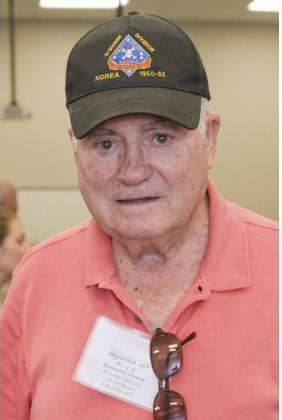 Mulvihill joined the Marine Corps in 1964, and was in Vietnam the next year. On June 15, 1966, he and 17 other Marines were on Hill 488, deep in enemy territory, when a battalion of Viet Cong fighters approached and launched a ferocious attack. The Marines formed a tight circle and stood their ground, facing unrelenting fire as they fought through the night, according to the Medal of Honor citation for Gunnery Sgt. Jimmie Howard, who organized the small force. At one point, Howard told the Marines to throw rocks at the approaching enemy, according to accounts of the battle. In the end, six Marines died and 12 were wounded. The battle also led to four Navy Crosses and 13 Silver Stars — including one for Mulvihill, a radio operator. 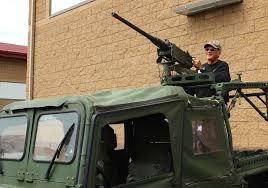 Mulvihill got out of the Marine Corps in 1968, but re-enlisted 17 years later, just shy of his 38th birthday. He retired in 2002 and still works for the Marines as a tactical safety specialist at Marine Corps Air Ground Combat Center Twentynine Palms. The reunion was his first in several years, he said. Peter Cetani and Stan Chronister, who served with Mulvihill, were ecstatic to see him, and said the event was like reuniting with brothers. “We are one family,” Cetani said. Recon Marines participate in a breach and target extraction demonstration during at Camp Pendleton during Recon 50, the 50th commemorative reunion of Marine Corps reconnaissance forces and supporting helicopter crews who served in Vietnam during the period from 1965 through 1971, on Thursday. 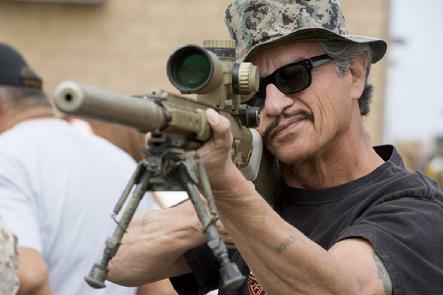 Conrad Moreno of Wildomar looks the scope of a 7.62 mm sniper rifle, which is similar from the weapon he carried as a recon Marine in Vietnam. Jim Ledford, right, who served with 1st Force Reconnaissance Company in Vietnam from 1969-1970, checks out a scope. 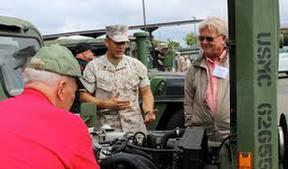 A Marine with 1st Reconnaissance Battalion talks to veteran David Estenson on Thursday, April 23, 2015, at Camp Pendleton, Calif., at a reunion of Vietnam-era reconnaissance Marines. 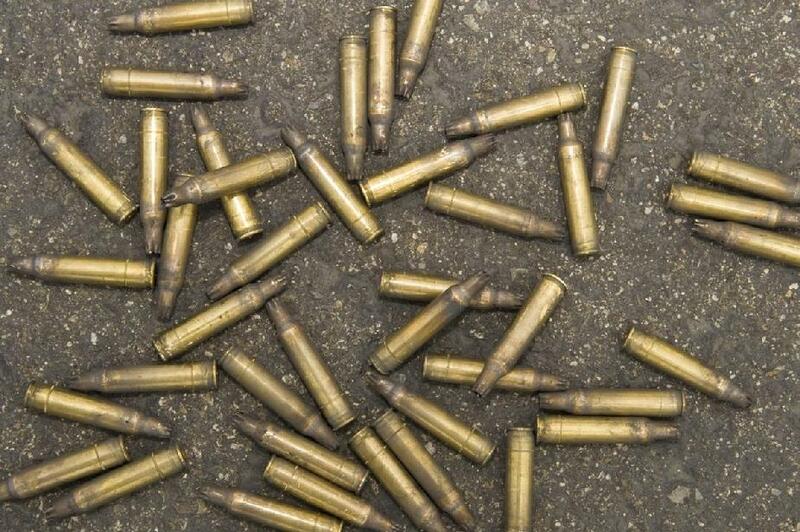 Blank shells lay on the ground after a recon demonstration at Camp Pendleton for Recon 50.